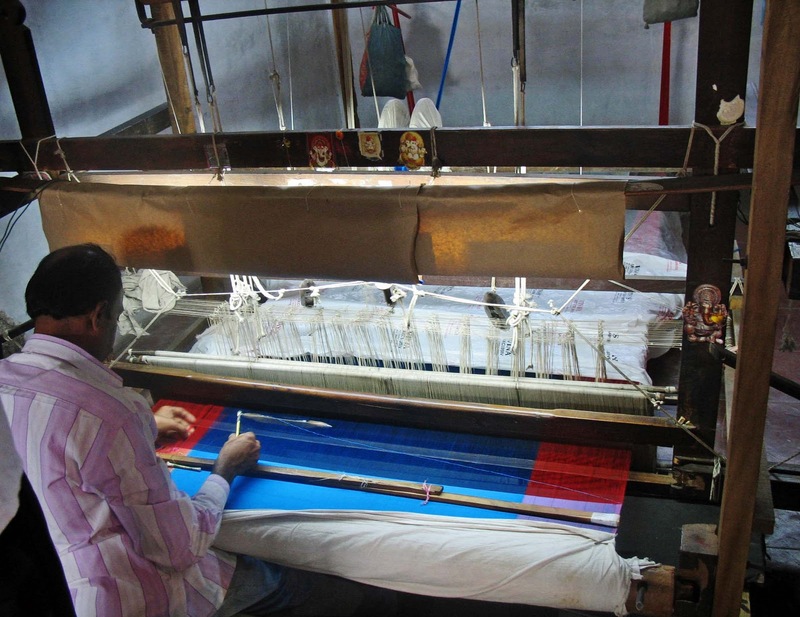 Here are few photographs of weavers in India working on manual looms in Aurangabad, Maharashtra. 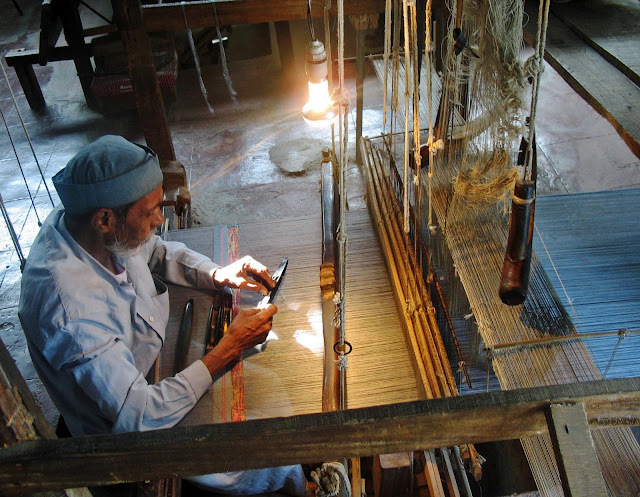 This is the way traditional handweaving and spinning is done. In the West however most commercial fabrics are woven on computer-controlled looms. In the first picture you can see an elderly Muslim man working on the loom. It is a painstaking and highly skilled job. A light bulb shines directly on his hands. The photo below shows another view of the same weaver. 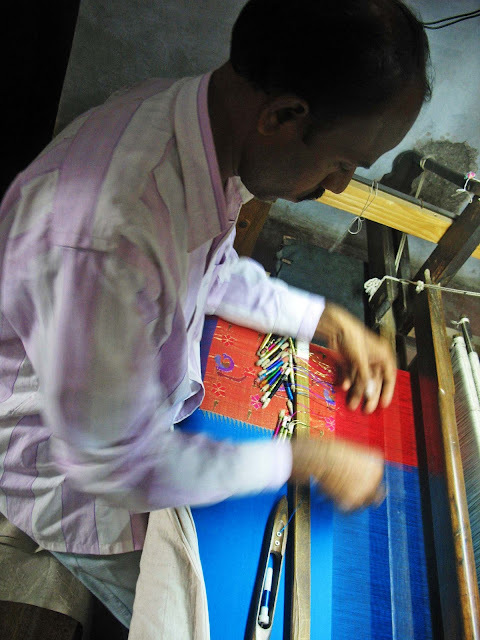 You can see the red and yellow designs on the cloth he is weaving. This is another photograph of a weaver at work. There is a clear view of the loom he is working on. The tools of the trade are clearly visible in the image below. The weaver is working with red and blue threads/yarns. His hand is moving fast and skilfully. 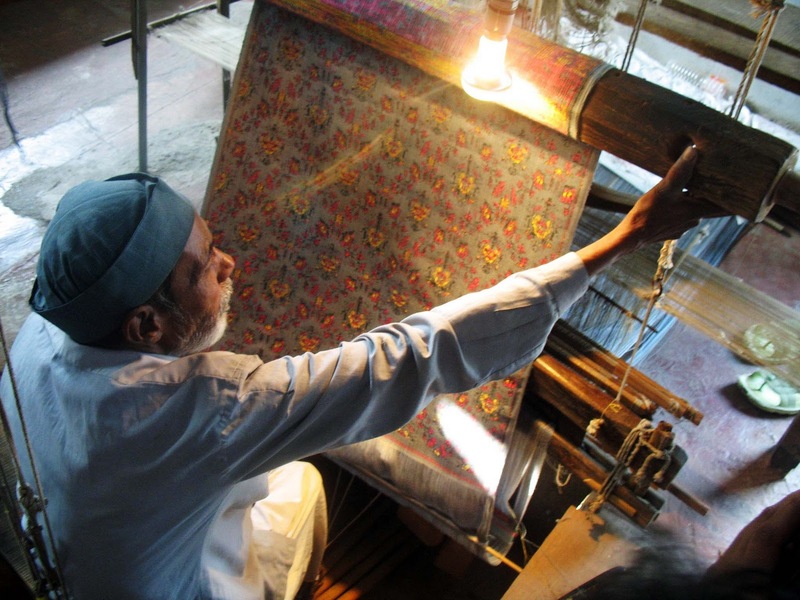 Related images: Artisans in India. If you are looking for photographs of other types of skilled workers try the label "Occupations" or "Skilled Labour"